I’m all about instant gratification. I know I should learn to be patient, but it’s honestly my least favorite virtue. If I can do something in a minute or less, I’m sold. If I can take a bath in it? Even better. 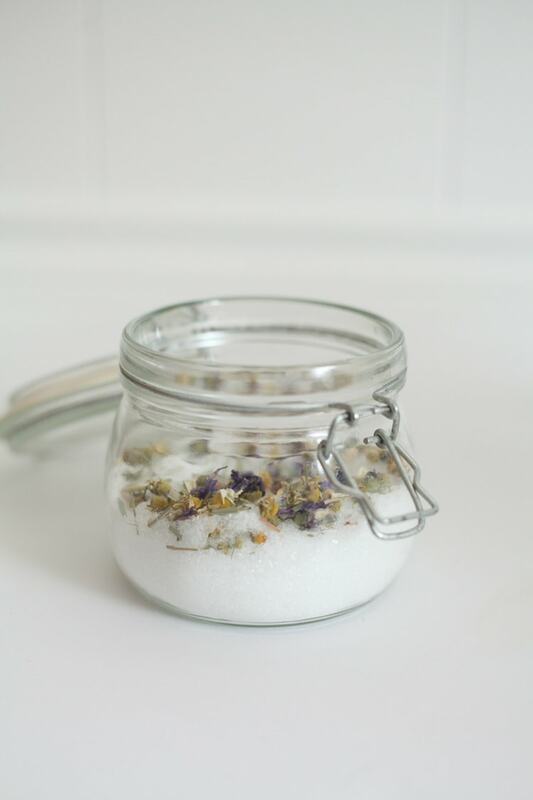 Epsom bath salts have been around forever, but sitting in a salty bath is relaxing enough for this girl. 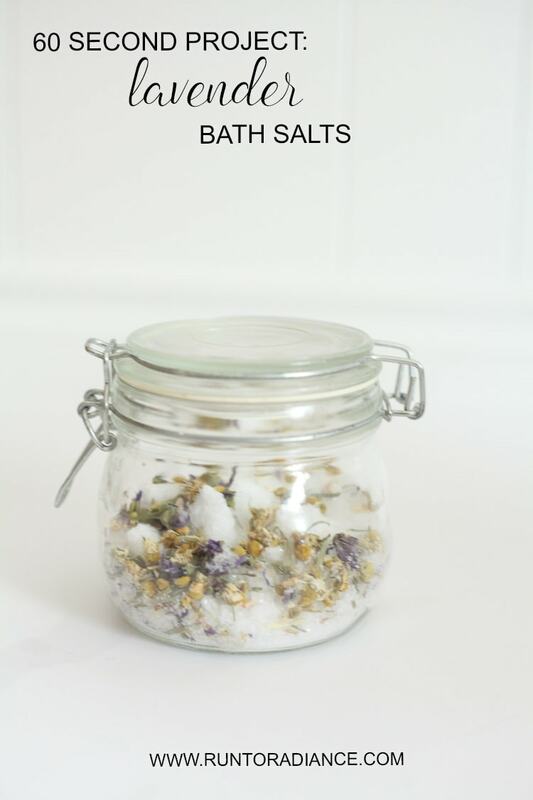 I want some fragrance and to truly relax—enter my newest 60 second project- diy lavender bath salts. 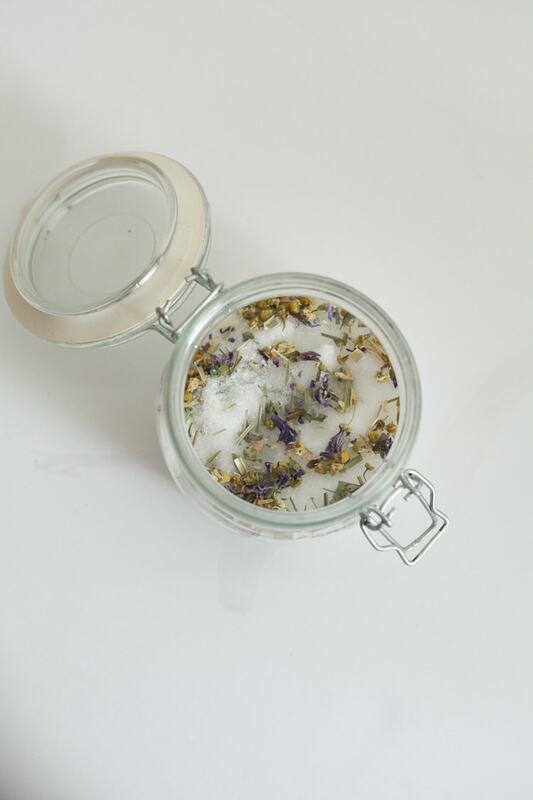 lavender essential oil -optional but worth it! 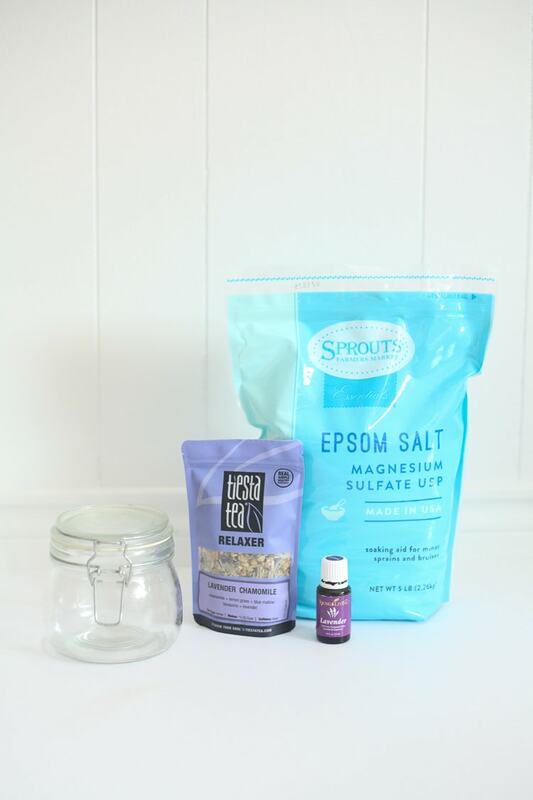 I personally use Young Living oil, but here’s an option on Amazon as well. 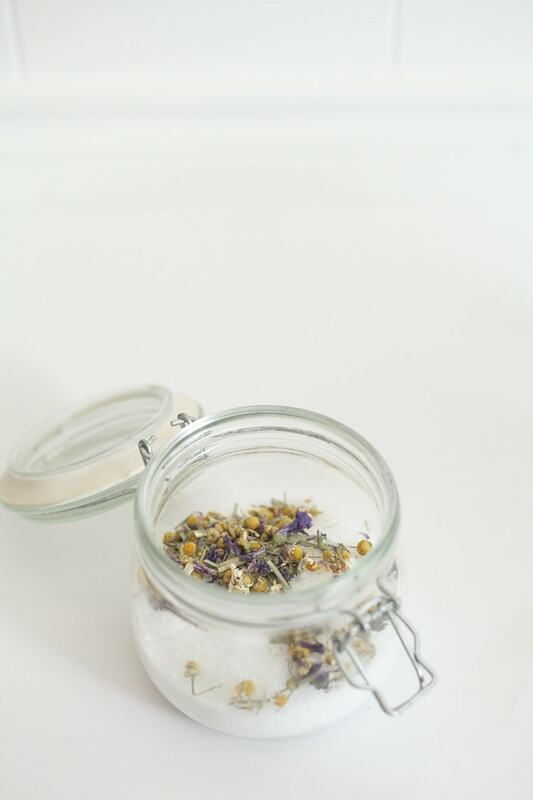 Pour your salt in a jar, add your lavender tea, add a few drops of essential oil, shake it up and call it a day. 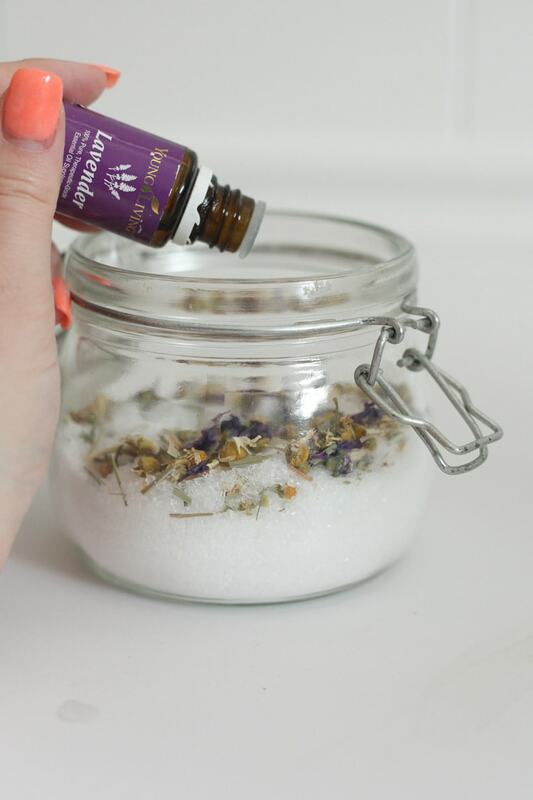 Looking for another fun project with lavender essential oil? 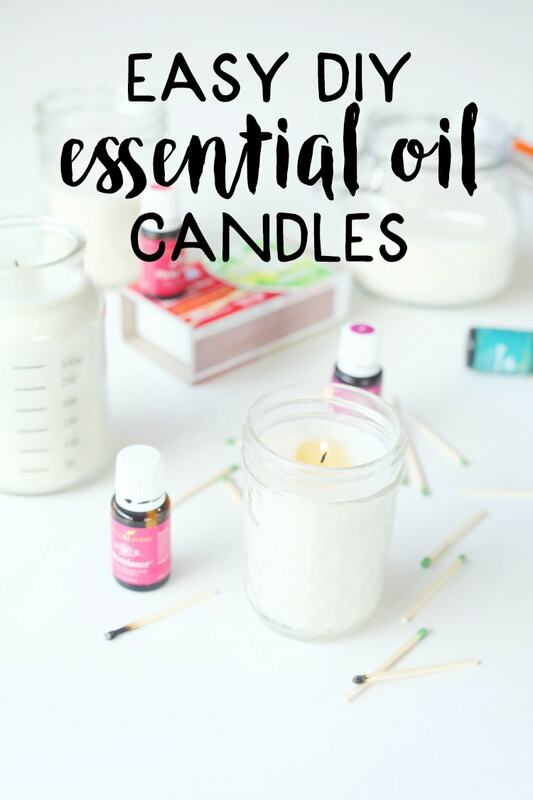 Try this tutorial for how to make candles in 10 minutes or less with essential oils! Previous Post: « Our Laundry Room Makeover Reveal! 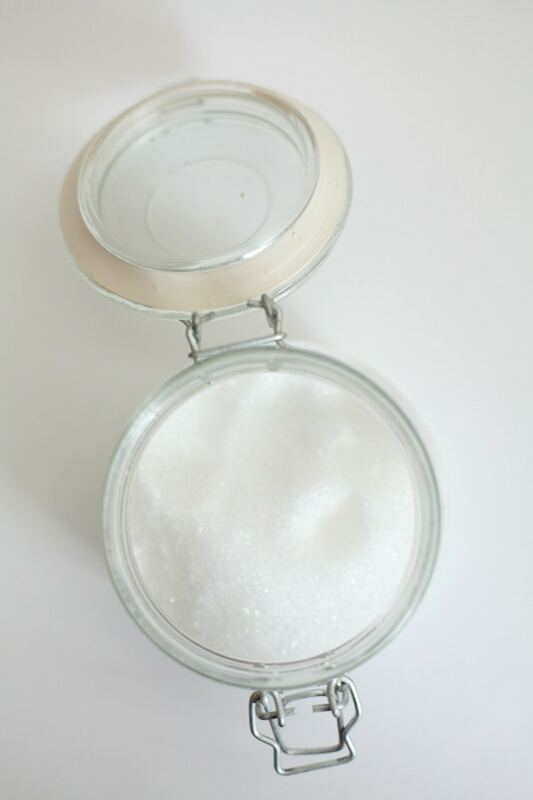 I usually just buy the lavender or eucalyptus scented epsom salt because I am with you, I want a fragrance!! But this is totally fun to make your own version!!!! I love lavender! I bet this smells really good. These would make awesome gifts/favors! 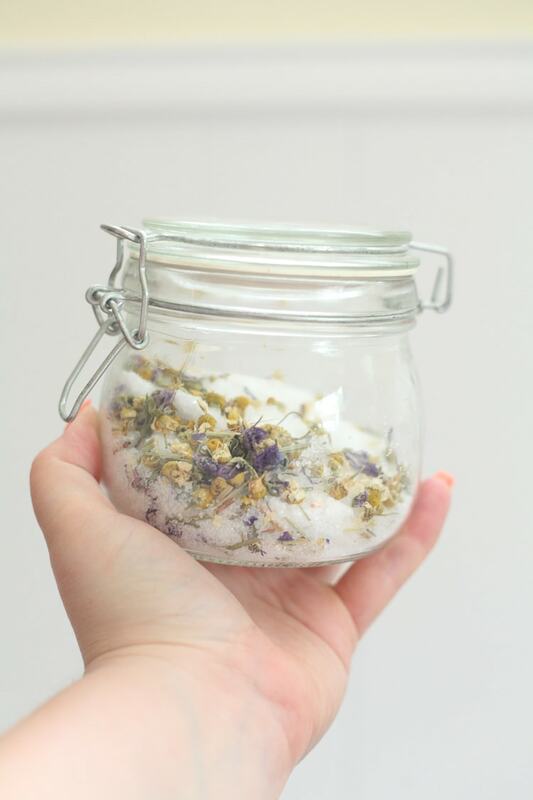 I’ve been making body scrubs and things like that for my friends for ages. But, this looks just divine! 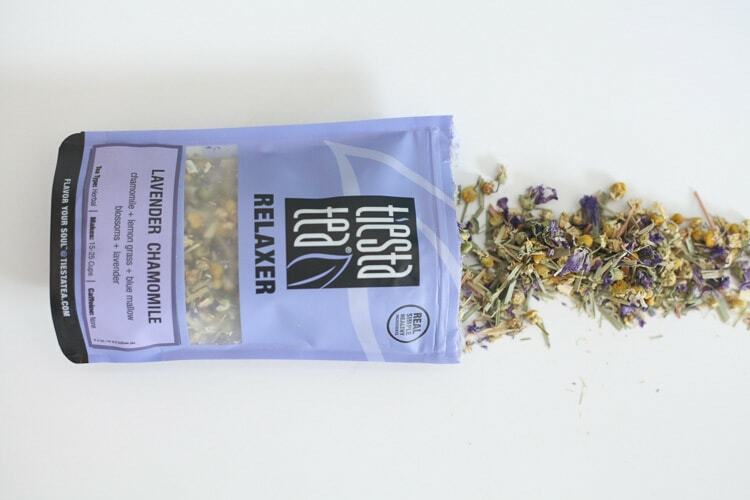 I love the scent of lavender and I can just imagine how relaxing a salt bath with it would be. This would the be the perfect summer birthday gift for my friends too!